In a fast-changing and dynamic business environment, the role of marketing professionals has become more critical in ensuring the long-term success and survival of organisations and brands. The three-year Marketing Management BSc(Hons) will provide you with the skills and experience to become a marketing professional, and the confidence to progress into a number of roles, from product marketing to public relations. Right from the first year you will engage in live client project work, putting your developing skills and knowledge into practice. There will also be opportunities to test your professional skills in a secure and supportive environment, and develop innovative approaches to solving marketing problems. You will benefit from our collaborative approach to our teaching and learning, which enables our students to determine the nature, structure and content of a number of modules. The course is accredited by the Chartered Institute of Marketing (CIM). Depending on which modules you choose you could graduate with a degree and a CIM Professional Diploma in Marketing. You might also be interested in our Marketing Management with Placement Year BSc(Hons). Studied over four years, it includes a paid placement year in industry. Our Marketing Management BSc(Hons) teaches specialist subjects including branding, consumer psychology, marketing metrics, marketing law, market research and digital marketing, while ensuring the development of fundamental business skills in finance and people management. Learning is delivered through a stimulating mix of seminars, academic and industry lectures, group projects and workshops. There is a focus on the development of professional skills throughout the course, with live client project work a significant feature. In the year 1 module The Professional Marketing Practitioner, you develop your own brands, client management abilities and team leadership skills, which you can then apply in number of applied projects working with local organisations. Making sure that what you learn with us is relevant, up to date and what employers are looking for is our priority, so courses are reviewed and enhanced on an ongoing basis. If you apply to us, you’ll be told about any new developments through our applicant portal. In your first year, you will develop your own brand, client management abilities and team leadership skills, which you can then apply in projects with local organisations. Core modules include aspects of economics, digital and social media marketing, marketing principles, understanding markets and finance for marketing. You can choose option modules in year 3 to explore the subjects that really interest you in depth. This module will introduce you to the challenges and opportunities of marketing across a range of digital and social media platforms. Whilst the founding principles of marketing remain unchanged, their application has evolved considerably with the development and use of a range of digital tools. Based upon the CIM’s Digital Marketing programme, this module will give you an opportunity to develop your knowledge of the design, implementation and evaluation of digital and social media marketing strategies. This module will introduce you to the underpinning management accounting and measurement concepts required of a modern marketing manager. You will develop your understanding of key financial and management accounting terminology and activities, the role of finance in marketing planning and be introduced to the subjects of marketing measurement, metrics and analytics. This module examines brand performance measures and how they are used to support the development of future marketing plans and activities. Throughtout this module you will examine the underpinning principles of consumer behaviour/psychology, and explore the relationship between brands, their competitors and customers. You'll be able to examine the external marketing environment encompassing both macro and microfactors alongside further consideration of the dynamics of marketing inrelation to competitive environments. Insight will be provided into different market sectors to develop your awareness of a range of market trends and developments. On this module you will develop a range of professional, academic and employability skills to help you achieve success both at university and in graduate employment. Specific features include; early formative assessment of key academic skills, participation in a team skills development centre, the creation of your personal brands and other recruitment documentation, reflective practice and career/personal development planning. In your second year, more advanced modules develop your skills in analytics, strategy and content generation ready for your marketing career. During your final year, you will complete a research project. You will also choose option modules allowing to tailor your course to your interests and career aspirations. Depending on your module choices, this can give you exemptions from CIM examinations. Principal Lecturer and course leader for our Marketing and Marketing Management degree programmes, Dan Bennett has worked at the university for over 15 years and is a CIM Chartered Marketer. 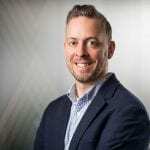 Alongside his current post at the university, Dan is also a visiting lecturer at European Business Schools and teaches for the CIM on their professional diploma. Before joining the university, Dan worked as consultant and account manager and continues to offer consultancy support to a number of organisations. As well as being Chair of the Academy of Marketing’s Special Interest Group, Dan founded and is Account Director for the experiential student-marketing agency, Bright Young Things, where he mentors over 40 student teams working with a range of client organisations. 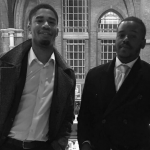 Brighton Business School alumni, Marvin Okai and Denzil Lawrence, are back at university to talk about their journey to becoming Chartered Accountants and why they developed their blog Black and in Business to share their experience. As the quest for graduate jobs begin, I’m left reflecting on my placement year and how I ever managed to secure such an amazing role. Throughout his career, Greg has challenged paradigms by delivering ambitious visions and robust strategies. Students from the Brighton Business School and the School of Sport and Service Management and the (based on the university’s Eastbourne campus) were visited by Harley-Davidson, including motorbikes, and Identity group. Opportunities to tailor your learning on the degree course provide excellent preparation for roles in general management and specialist careers; for example, employee relations, marketing, recruitment and selection as well as roles in accountancy, risk management and consultancy, as well as specialist finance careers. Additional qualifications and exemptions from accrediting bodies can also be gained depending on the module choices you make. Graduating with a specialist degree in marketing will improve your employment prospects in this highly competitive sector. After graduating you will be well qualified for roels in market research, brand management, account management, advertising, public relations, consultancy and digital marketing. You would also have an advantage in such areas as public relations, copywriting and events management. This course is accredited by the CIM. Their Graduate Gateway programme provides students and graduates the opportunity to gain a professional qualification alongside your degree. CIM Certificate in Professional Marketing – to obtain this certificate you will need to pass the CIM’s Integrated Communications module and one optional module. CIM Diploma in Professional Marketing – to obtain the diploma you will need to pass the CIM’s Marketing Metrics module and one optional module. The Chartered Institute of Marketing (CIM) is the largest professional marketing body in the world. This course is accredited by and has been developed with the Chartered Institute of Marketing (CIM), so that you can gain CIM qualifications whilst you study. We’ve structured our courses to help you complete your CIM Diploma in Professional Marketing before you graduate. Employers are involved throughout the degree programme to ensure we’re helping you to develop the skills they’re looking for. Businesses work with us on guest lectures, placement opportunities and with live project briefs – where students present solutions to a group of employers. Our student-led marketing and PR consultancy, Bright Young Things, was set up to provide businesses with marketing services, whilst boosting the professional experience and employability skills of students. Students have been working with over 30 local organisations including Eastbourne Borough Council, St Wilfred’s Hospice, Hastings Voluntary Action, Pestalozzi, Grand Flowers Florists and Age Concern. They will also support you throughout your placement and act as referees if you are offered a permanent role, or wish to continue to a masters degree. The university will assist you in the application to visas if required. For more information visit beepurple. If you decide that you would like to go onto postgraduate study, we offer a 10% discount to alumni. Here are some courses that might interest you. Entry requirements are in the range of A–level BCC–CCC (104–96 UCAS Tariff points), or BTEC Extended Diploma DMM–MMM. Our conditional offers typically fall within this range. 28 points with 16 at Higher level. Pass with 60 credits overall. Units in business, management or humanities required. At least 45 credits at level 3, with 24 credits at merit or above. IELTS 6.0 overall, 6.0 in writing and minimum 5.5 in the other elements. "Studying a marketing degree at the university is proving to be a great experience filled with fantastic lectures, seminars and workshops. A lot of creativity goes behind the teaching and shows how great the lecturers are and their passion for creating unique sessions every day. The mixture of both staff and students creates an amazing atmosphere for learning with a lot of room for development, both professionally and personally.The campus facilities and resources available are incredible and never-ending. Great spaces for socialising in various different cafeterias to hang out in-between classes or to put your head down and get some work done. I would definitely recommend a marketing degree at Brighton – not only will you have a great time studying but you will also get to spend a few years in an amazing, vibrant city." 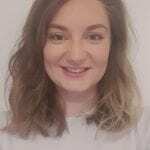 "Having been drawn in by the passionate marketing presentation at an open day, I decided that Brighton was definitely the right place for me, and I looked forward to learning more about the world from a marketing perspective. Throughout the first year of my course, I have gained valuable knowledge, not just in terms of marketing, but also in business as a whole – as I studied economics and finance alongside the more focused marketing modules. I have also acquired skills in Adobe’s Photoshop, WordPress and Excel, that I know will prove helpful in the future. In addition, my presentational skills have improved significantly since I started the marketing management course in September, as has my confidence as a whole. I feel like I have flourished during my first year at university thanks to the incredible enthusiasm and on-going support of my personal tutor, and the wonderful course mates that I have found. Along the way, I have had a lot of fun and look forward to what the next few years will have in store for me." "My first year as a student at Brighton surpassed my expectations. I knew the social and nightlife aspects of being a student in Brighton were going to be quality, but I wasn't aware of how enjoyable being a student could be too. As well as being able to choose to study a subject that I enjoy, the way that the university staff were able to get us, on the course, to interact with each others meant that we formed a close-knit group inside and outside of our studies. This meant that group work wasn't as daunting as I'd first feared, and for individual assignments we could interact amongst ourselves and help each other. That, combined with a well-balanced selection of modules, ranging from written and practical assignments, meant that the course was catered towards everyone's abilities and needs. Everyone I know felt that they enjoyed the course. The help we had from our tutors extended beyond just the assignments, of course that was the priority but they were always there for advice on pretty much anything, which definitely made myself and many others on the course settle in a lot faster – especially in that first few weeks. Overall, I thought my first year of uni at Brighton was a great experience and roll on the second year." Douglas McFadyean was awarded the Bright Young Things Prize for the best performing second-year marketing student and the Merit Scholarship Award at our 2018 annual Excellence Awards. Douglas is studying Marketing Management and talks to us about how the course and lecturers supported him in developing his brand and ultimately in setting up his own business as part of his course. Find out more about what it's like to study here, and pick up some top tips, by subscribing to our Brighton Business School blog.